Here's a great heads up for you - Mixbook is having a huge sale of 30% off ALL PHOTOBOOKS through the end of August so don't miss it! If you use this button to go make your book and you purchase it, I will receive a commission to help support this blog, so...thank you! To read why I love Mixbook, click here. 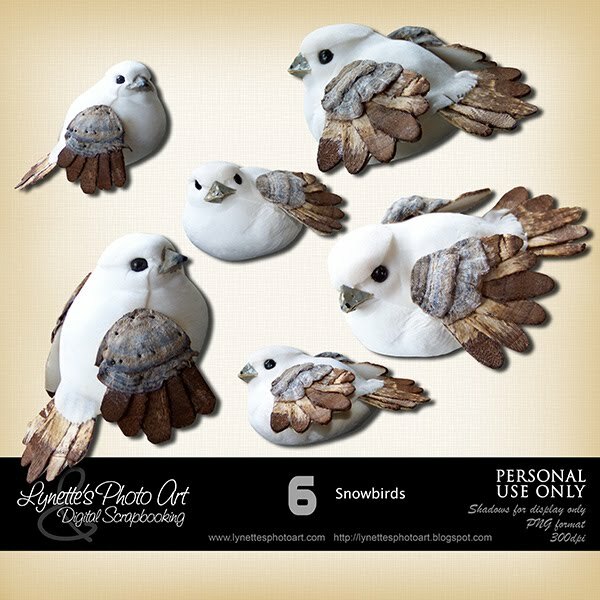 By request I am offering my Snowbirds that I had given away a long time ago. 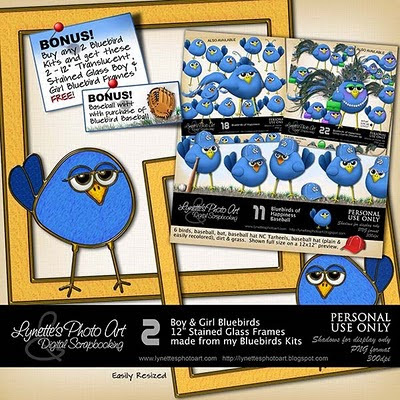 There are six precious birds made of natural materials and very detailed in this kit. Click the preview to enlarge. Click Buy It Now Button below the image to purchase from my PayPal Store for $1.99. 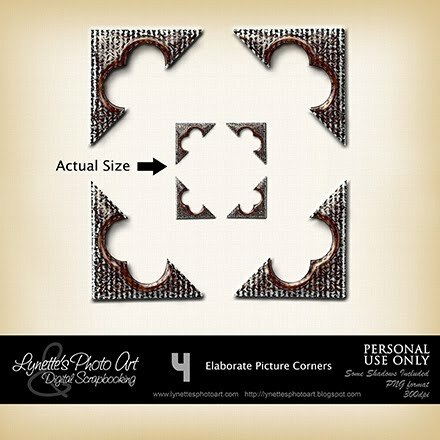 Today's gift for you is a set of four Elaborate Corners for your photos - enjoy! Our family of Bible Time Foam elements collection is growing! 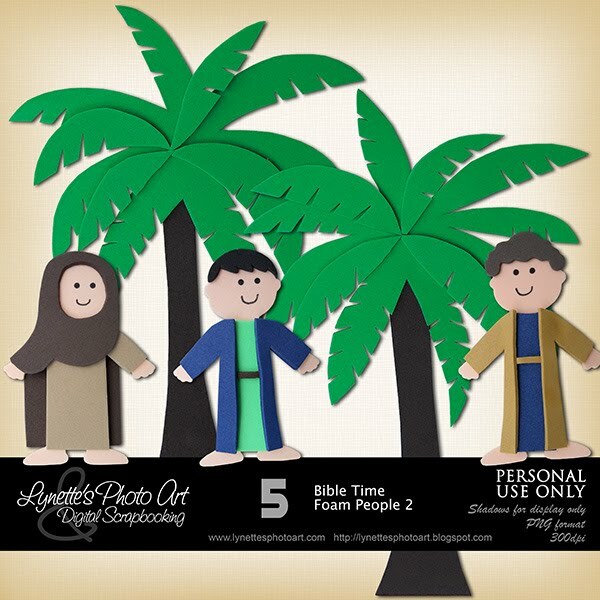 Bible Time Foam People 2 has three new Bible Time People and two large Foam Palm Trees for scenery. Click image to enlarge. 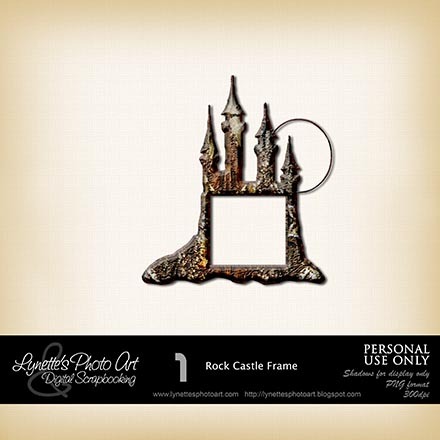 Click Buy It Now Button below the image to purchase from my PayPal Store for $3.50. Also available: Bible Stores 1, Bible Time Foam People, Foam Kids of Today and Books of the Bible poster and 4x6" postcards. Please take a moment to read this, it would mean a great deal to me. 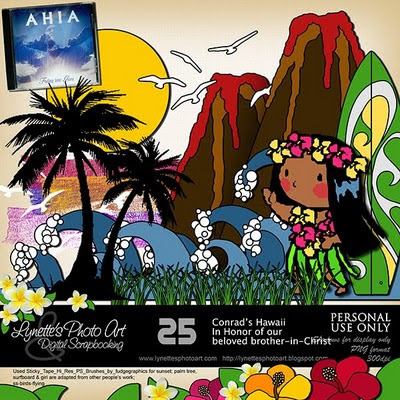 My gift for you today is a special tribute to Conrad's beloved Hawaii. 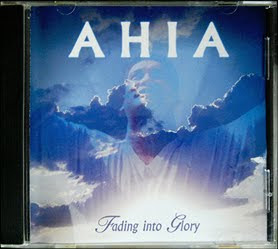 Today I'm sharing our beloved Brother in Christ, Conrad Ahia, with you. He's a giant of a man in every way and an precious servant of God. Hawaiian by birth he used the amazing voice God gave him to sing and perform as a fire dancer in huge shows in Hawaii and around the world. He would tell you that he was a very "bad" man, one to be feared with a very dark past, before he met our Lord Jesus Christ, so his salvation is so dear to him. I can't picture that man as the only Conrad I have known is a peaceful 6'4" teddy bear of joy, love, laughter and praise for His Savior and God. He's a fabulous example of being "radically saved" - a life totally changed and now a glory to God. 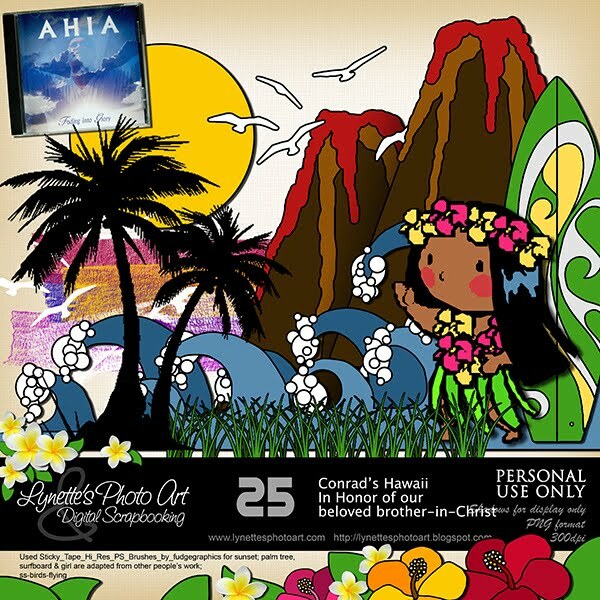 Below his picture is a picture of one of his CDs and it has my favorite song of his on it...he was singing it when my husband and I met him years ago, Kanaka Waiwai. My husband had been asked to come lead praise and worship at an event only to find once there that another man would be sharing that function. This giant of a Hawaiian stepped onto the platform with his tiny 3/4 guitar and started singing a praise and worship song in Hawaiian. It was so beautiful it's one of those moments frozen in my memory forever. It was love at first sound! I can see in my mind just where I was standing as I heard the first notes. I later memorized it phonetically so I could sing it too through the years. Just months ago I sang it with him as he came to lead praise and worship at the tiny church my husband started two years ago. He said he'd never heard anyone else sing it and it made him happy. He was having trouble with his vision the short time he worked with us in the church (a full hours' drive each way for all of us) and he would ride with us. His younger sister died in March in Hawaii at only 46 yrs. He is 49. He went home to help his parents tie things up. When he came home, results of tests were in and the answer was brain tumors. This morning he truly "faded into glory" (title of his CD) to be with the One he loved and worshiped so, who saved him from all the bad things in his past and filled his life with good things including a lovely wife and two daughters, 10 &9. It's been hard. I was so sure God would heal him that I hadn't even really considered this possibility. A very hard day, but we take comfort in God's goodness and faithfulness knowing where our brother is now. His faith and passion for our Savior and God are good examples to us all and all I can see when I think of him is his sparkling eyes and huge warm smile as his rich low laughter filled any room. This is my tribute to our beloved brother Conrad. Thank you Lord so much for letting us be honored by having Conrad in our lives and we pray that you comfort Jennifer and the girls as only you can. May we too be found worthy through Your grace to attain that day, in Jesus' name, amen! I know Conrad's deepest wish for everyone of you is the same as mine, that you repent of your sins and accept Jesus Christ as your Savior, are immersed in water baptism and live faithfully the rest of your lives that you might be saved. 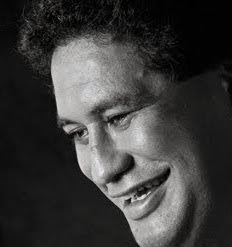 In honor of His walk with God and this his first day at home with Him, I'm giving you this kit, Conrad's Hawaii, in hopes that you will read this little bit I wrote about this wonderful Christian man and that your hearts might be moved toward salvation, or that you be encouraged if you are already saved. God bless every one of you and God bless Conrad's family and the many of us who's lives he blessed. Today I'm sharing some sad news - one of the most talented and generous designers here is retiring, Gunhild Storeide. She has been making and sharing free CU items for three years and has now announced her retirement. I'd encourage everyone who hasn't followed her blog to go right away and get what you want. She says she'll leave the links active for a while. There are ten or eleven pages of goodies so hurry on over to http://www.storeide.se and be sure to thank her for all her work! Big hugs Gunhild, thanks so much and God bless you! It's been a while since I shared a praise and worship video with you - but it was worth the wait! This is fabulous and important. Hope you enjoy! Today's goodie for you is this great Fall Nuts quick page. I just love this one - especially the paper! I made it long ago. Hope you like it too! The last post addressed our loving Father's tender care of His child who had tried to share Him with one who hasn't chosen Him yet, and tried to dissuade that person from having an abortion. Today I have a bit more to share on this subject. There is great comfort in this truth. This is not to be in any way construed as supporting or encouraging this act as I believe abortion is murder of the most innocent among us by the very one who should be protecting it above all else. Please consider this: With our children who live, we worry if that child will choose Jesus, live faithfully all their lives and be saved eternally in the end. It is not so for our little ones who go on before the age of accountability. One must be old enough to understand right from wrong to be able to sin. Those who leave this world before they reach this age of accountability rest safely in our Savior's arms, in heaven forever. They cannot be lost. Yes, the shedding of innocent blood is one of the seven things that "are an abomination" to God (Proverbs 6:16-19) and we should always try in love with prayer to encourage people to take other avenues rather than abortion, but when it happens, we needn't grieve for the child. We should take comfort in the truth that the child is in heaven, and we should also pray that our loving Savior will use the abortion to convict the souls of both parents of their guilt and afford them an opportunity to come to Him and be saved, washed clean of every sin. This very tragedy may well prove one day to be to the saving of both their souls. You see, one is no more lost for killing their child than they already were as everyone past the age of accountability has sinned and it only takes one sin to separate us from God and earn us the wages of hell. Abortion receives the same penalty as telling a lie. So, though horrific and evil, God has promised to cause ALL things to work together for good for those who love Him and are called according to His purpose. The innocent soul is in heaven and the parents have the opportunity to respond to the conviction of the Holy Spirit and be saved eternally, whereas before, they were bound for an eternity in hell. God can bring good from even this! If you would like more on this subject, there are five posts you can find in the left column in the label cloud under "abortion". Today my gift for you is this Rock Castle Frame. Enjoy! God is so cool! He works in such amazing ways...and sometimes sooooo funny! My daughter just called and shared this: A co-worker who she really cares about had just told her that despite my daughter's efforts, she had decided to have an abortion. At home, my daughter was crying in the bathroom for the soon to be murdered innocent child and the parents who were making this choice. After a long time of crying, she felt something on her foot. When she looked, her kitten had been to the litter and not everything fell off... there were two kitten poops on the side of her foot and a smear of poop across it where the kitten had drug herself trying to get clean! Tears turned to laughter realizing what an awesome God we serve who so tenderly brought relief to her aching soul in such a comical way. Isn't He wonderful!!! God - You rock! In honor of God's immeasurable love for us, today's gift is a frame cluster adorned with translucent hearts. Enjoy! I really love all my new Bluebirds and I thought I'd share the cover I just designed for my newest book using them. Click to enlarge. The adorable tree is by madigirlscraps@msn.com. 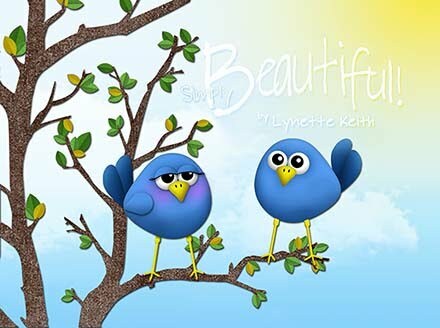 You can find Bluebirds here, Bluebird Dress Up here, and Bluebird Baseball here. Here's a curious truth...though God teaches us in the Bible that we are to be selfless and prefer others over ourselves, there is no way to heaven that isn't ultimately selfish! Think about it...either we obey the gospel plan of salvation and live faithfully because we don't want to burn in hell eternally, or because we love God and want to spend eternity with Him...either way...it's all about us, our self-centered, selfish desires! Ironic?! LOL! God has a sense of humor! It's good to be able to laugh at ourselves too! Have a great day! 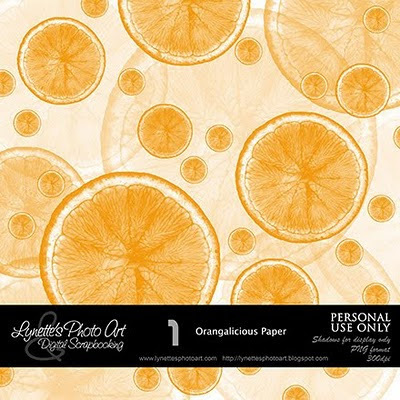 My gift for you today is this refreshing Orangalicious Paper - enjoy! 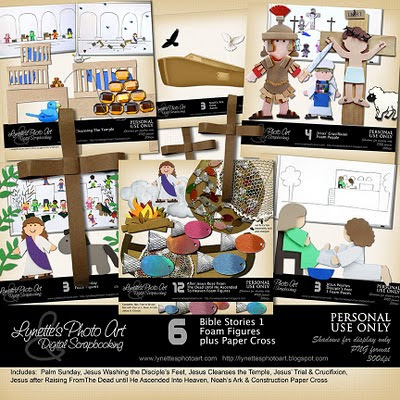 Bible Stories 1 is a collection of six sets of foam characters that can be printed, cut out and magnets attached to their backs to use as I do on a magnetic white board, made into puppets on Popsicle sticks, used in digital scrapbooking and faithbooking - your imagination is the limit! The magnetic white board is key for my classes. Before class I draw a basic scene on the board - nothing fancy. I design and make these little foam characters for every lesson and glue magnets to their backs. As I read the the story, to keep them interested and engaged, I stop and hand out each character as they enter the story. The child puts them on the board where they should go. I let them decide where, to fit the story. They are building the story, acting it out with the characters and making it their own. As action happens in the story, they take turns changing the scene (like spreading garments and palm branches before Jesus at His triumphal entry to Jerusalem, overturning the tables and bird cages when Jesus cleansed the temple or moving the stone when the angel rolled the stone away from His tomb). Here are some of the things I have made for my class. Click image to enlarge. 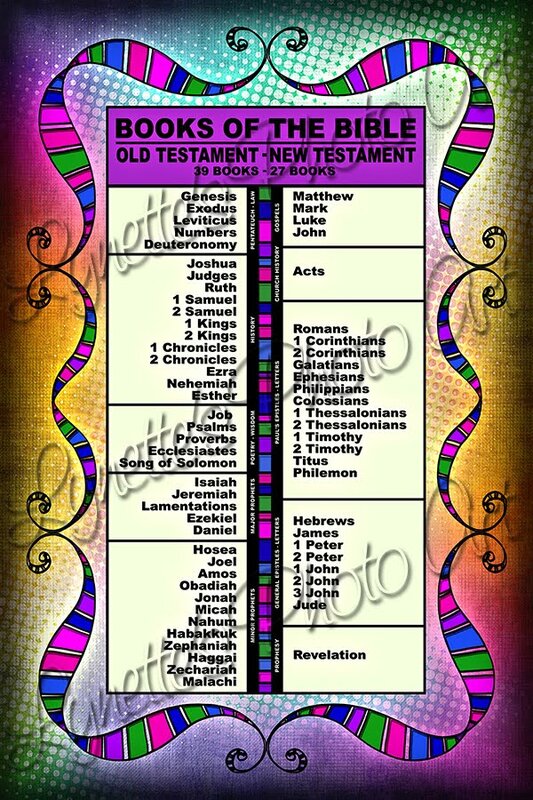 The Books of the Bible 4x6" Post Cards and 4x6" Magnets are physical products that are commercially produced with high gloss finishes, and are shipped to you. I will combine orders with one shipping & handling charge if you e-mail me your order (lynette@lynettesphotoart.com) and don't use the Buttons below. 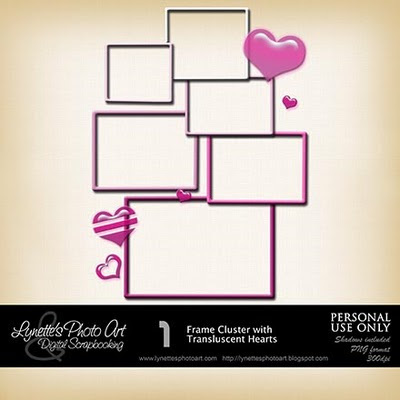 To purchase a 4x6" 2-sided POSTCARD for $1.25 plus $1.00 shipping & handling use the Buy It Now Button below. You can buy up to 3 postcards and pay only the $1 shipping if you e-mail me instead of using the BuyIt Now Button. For larger quantities, e-mail me and we'll work out the best shipping arrangement for you. The Jesus Wanted Poster shown in the preview is today's gift. I started with the picture of Jesus from Effie's blog and changed it a lot then printed it and attached it to a store bought wanted poster. You get the entire poster - enjoy! I put it on my classroom door to show we want Jesus and there is a reward for finding Him. Today's my birthday! I don't normally talk about myself here, but since I've had freebies and posts for you every day for almost two years and now I haven't been posting every day for a while, I thought you might wonder what's been going on. One factor has been constant serious computer issues that I can't afford to resolve, but I'm still limping along with the constant help of my husband patching me up for another day and me "working around" things. God bless him! Another issue is health. I had a lot of health problems before PS entered my life, but I've worked around the clock in PS for so long that my body is setting limits now that I cannot override at times and since we have no health care, it's up to God alone to help or not as He wishes. I would appreciate your prayers - in all things! The biggest change has been time. 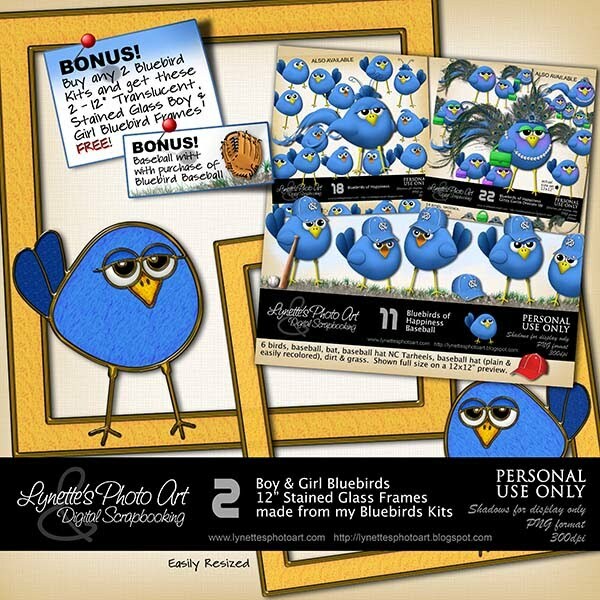 I pretty well worked around the clock to keep daily gifts and touches from God here for you and kits to sell trying to support the blog. It is precious to me. This last several months, I have had to start teaching children's Bible class at the tiny church my husband started in a neighboring state. It's a labor of love for the Lord as he still works full time and does this the rest of his time and because it's so small, we don't even get gas money for the 2 hr. trip. It's two years old now and he and I still do nearly everything alone. Yes that's sad, but until God sends people willing to work and be dependable, we are all that's willing. So when children being allowed to run around and do all manner of things during praise and worship and the sermon simply couldn't go on any longer, I started a Bible class. I have the unique challenge of teaching all ages in one class and without funds to buy curriculum etc., so I have to make everything myself every week. I am spending 2-3 full days creating lessons each week. Obviously all these things have impacted how much I can do here for you. I deeply appreciate those who are still coming here, though it is very sad that so few come now when there were 1,300 daily not so long ago. I miss everyone so much and I miss the occasional comment someone would take time to leave me. I treasure them. I do love you all and pray for you. Part of the problem is that since Digifree changed to CraftCrave, they skip me a lot. I got demoted from five stars to 4.5 stars and I don't know why, but it's still good enough to be among the top row or two in the search, but they skip me more than they pick me up. In the same time frame, some of the other search engines stopped picking me up too. :( So, even when I have a goodie for you, I am often not picked up on the engines. So sad. You can "follow" me here or on Google Reader to avoid that problem and not miss any goodies. So, since our Lord teaches us to do all we do for Him and not for man, of course I'm going to do the best I can for the children even though I don't feel "called". I thought my years of teaching children were over. Statistics show that the vast majority of our youth never come back to a church again after they are old enough that their parents can't force it. What does this tell us? That Christianity is not becoming real to them. They are not meeting God in a real and relevant way in their own lives. It's just a boring hour once a week they are forced to endure that talks about fairytales from a dead old book. There is a crucial age that every child reaches where there needs to be a genuine transition from, "I believe because my parents believe" to, "I believe because I know it's real and choose it for myself". If that doesn't happen, they don't come back when they are grown...and they don't raise their children to be saved either. Clearly, this is the primary responsibility of Christian parents - to train their children in the way they should go and to live their lives in such a way before their children that they can see it is real and the most important thing in this life. If parents are not teaching their children Christianity at home, Bible classes will not likely save their eternal souls. It must be a combined effort at home and at church, each supporting the other showing the children how important it is and making it real in their lives. It is absolutely vital for children's Bible teachers to do their very best with the precious minutes they have the children to bring the lessons to life, to make them interesting and memorable, to plant that eternal seed in them that others can water and grow to salvation. Sadly, many do what they do at home, they stick them in front of a TV or "entertain" them in some other way just to take the easy way out. News flash - it's not about what's easy for you! Every parent and teacher is accountable to God for the job we do with the precious souls He entrusts to us here. If you have children in class once a week for 20 minutes or so, it is your responsibility to feed them the Word of God, not to take them to a playground or watch a cartoon. We should bathe our parenting and our teaching a class in prayer continually. It's serious business with precious souls at stake. Another thing to think on, every church has such a problem getting adults to teach classes, but most parents want the luxury of "free babysitting" while they are in church. Sadly, they are missing the point that these are the times they should be teaching and modeling how to behave reverently and how to worship God in the assembly. The same people get used until they are burned out because no one else will teach. Consider that Jesus taught us that "he who would be greatest of all would be servant of all" Mark 9:35, as He came and served us. Consider that He taught us that we should prefer one another over ourselves Philippians 2:3. We are selfish when we allow the same tenderhearted people to teach our children for years while we enjoy the free babysitting, and usually without even saying thank you! We are admonished to be rich in good works 1 Timothy 6:18. We meet in a part of an old funeral home. Wanting the class to be bright and attractive for the children, we started by taking a large roll of fade resistant bulletin board paper and covering one wall and up to the window of another wall. It's paneling underneath, not bulletin board. Then I got a border with bright scenes from parables Jesus taught us to cover the top and bottom edges of the paper. We put a clear corner protector over the corner by the door where the paper starts to protect it from traffic. I wanted somewhere the children could keep their papers until the end of class, as they seem very bothered by having more than one in front of them at a time. Store bought bulletin board strips would be very expensive for this much area. I bought enough thin long pieces of raw wood in the molding section of the store to run along under the paper and trim. I got a 98 cent can of black spray paint and painted them. Then I bought a package of thin cork squares and cut them in strips to fit the wide part of the wood and hot glued it on. We attached these to the wall with only one screw at each end - four total, since we don't own the building. I got bright shiny clips and attached them every so often along the strip with a short, very wide headed nail. I used colored Sharpie markers to color the nail heads to match the clips. This is where they can keep their papers as they finish them. See the picture. The landlord let us use a home made table with very short legs they had used at the building - I don't want to know what for! It was 100% splinters every time you touched it. We covered the table, making sure to wrap it around and under to protect legs and clothes, with the same paper we used on the walls. Then we bought thick clear vinyl yard-goods and covered the paper to make it more usable and durable. It's working great! The floors are something I can't even describe for you, so we took lots of small carpet remnants and fitted them together like a puzzle to cover the area, all except for where I put 6 brightly colored interlocking foam squares where I could have small children sit comfortably if we didn't have enough chairs. We got a used TV for $5 so that we could show Bible stories if need be. It will only be used for Christian educational reasons and rarely. Haven't used it yet. I got an alarm clock that can play CDs to help me teach Christian songs on occasion. I believe children need to see us use our Bibles. 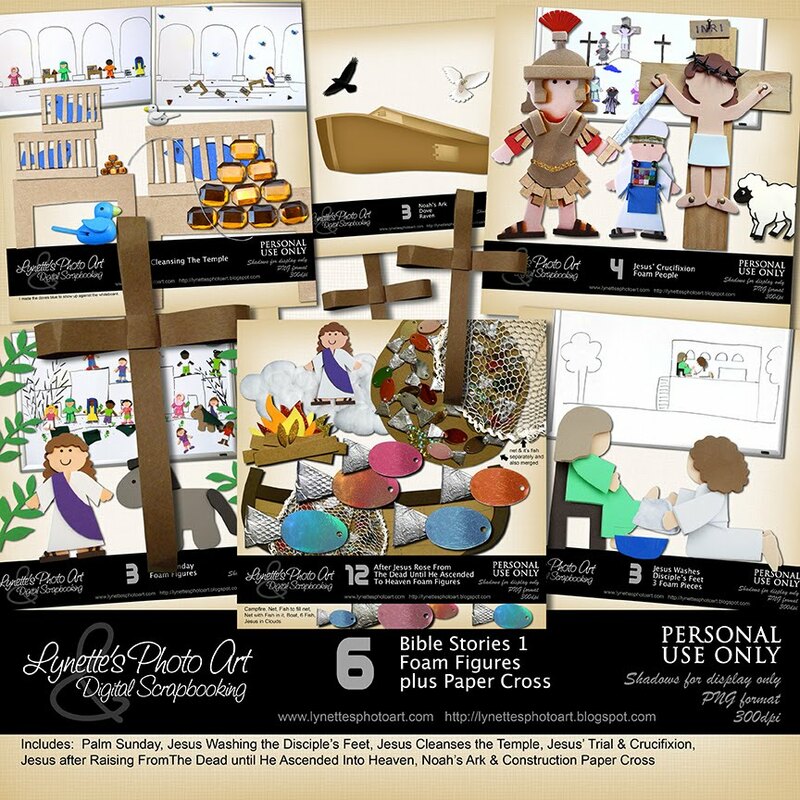 I have two illustrated children's Bible story books that I use for the pictures, but I prefer to teach them from the Bible so they get used to the idea that that's where the answers are! Yes, I paraphrase when necessary. I am big on stopping each time I read a word they might not understand and we discuss it till they know what it means. The magnetic white board is key. Before class I draw a basic scene on the board - nothing fancy. 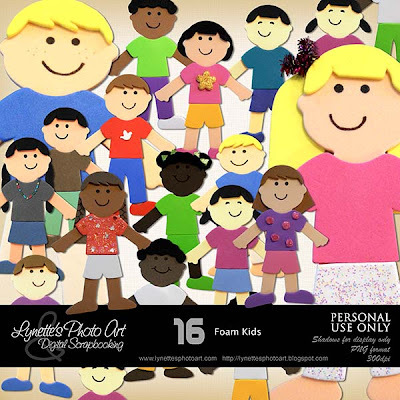 I design and make little foam characters for every lesson and glue magnets to their backs. As I read the the story, to keep them interested and engaged, I stop and hand out each character as they enter the story. A child puts them on the board where they should go. I let them decide where, to fit the story. They are building the story, acting it out with the characters and making it their own. As action happens in the story, they take turns changing the scene (like spreading garments and palm branches before Jesus at His triumphal entry to Jerusalem, overturning the tables and bird cages when Jesus cleansed the temple or moving the stone when the angel rolled the stone away from His tomb). We discuss what each story means for us today. That's sooooo important. 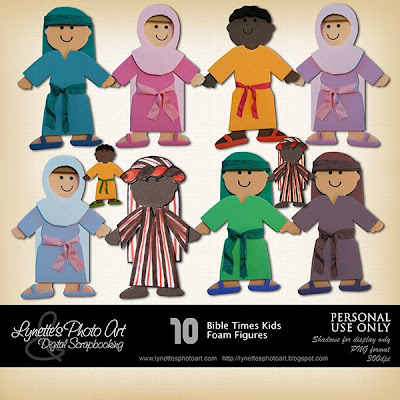 I have a set of foam children of today that we add to the scenes on the boards (as appropriate) to show that we too should praise Jesus and honor Him like they did when He entered Jerusalem and was declared the Messiah. See the picture. Applying it more to their lives, we discussed that putting their garments and palm branches on the road before our Lord was like a red carpet today. We discussed the words they used to praise Him then and words we can use now (such as, how do you describe your favorite athlete or movie star?) Use those words to praise God who is truly worthy. 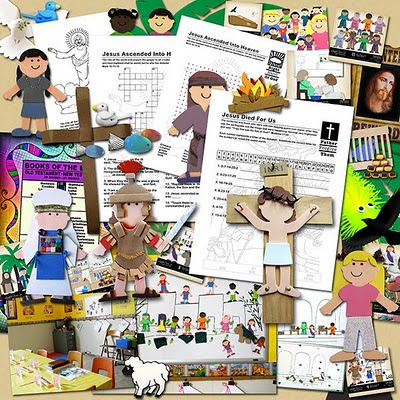 We review the message of each lesson and discuss how it applies to the children's lives. They are amazingly good at this when lead. I make sure they are always interacting, either building our story on the board, acting the lesson out in a skit, coloring a picture about the lesson with this week's memory verse printed on it, making cards for the ill (especially when studying Jesus' example of servanthood such as washing the disciple's feet). I also tie activities into each lesson, like for washing the disciple's feet we "water" colored the pictures instead of crayons. They are rewarded with stickers on a chart when they say their memory work and when the chart is full, they get to choose something out of the treasure box. I emphasize that the real reward is that when we learn the scriptures, they live in us and the Holy Spirit can bring them to our remembrance as we need them. I don't give them physical rewards often because they aren't' in class to get more "stuff", but to learn the way to heaven and meet their Savior. I don't feed them because this isn't daycare and they won't starve for 20 minutes to an hour. We are there to learn about our God and how we should live. That's not enough minutes to squander on frivolity. You'd be surprised how when you provide lots of learning options in class, you have trouble finishing them every week and the children are interested! 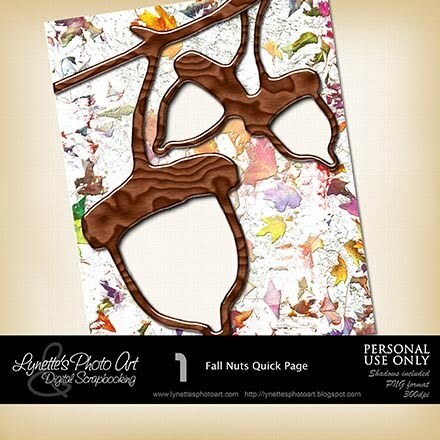 I looked on line for cross word puzzles and the likes to get ideas of how to I wanted to format activity pages. I found one I liked and make my own similar in style. Every week I reinforce the main message of the lesson in many ways. I create coloring pages (sometimes using free images on line) that I add our memory verse to. 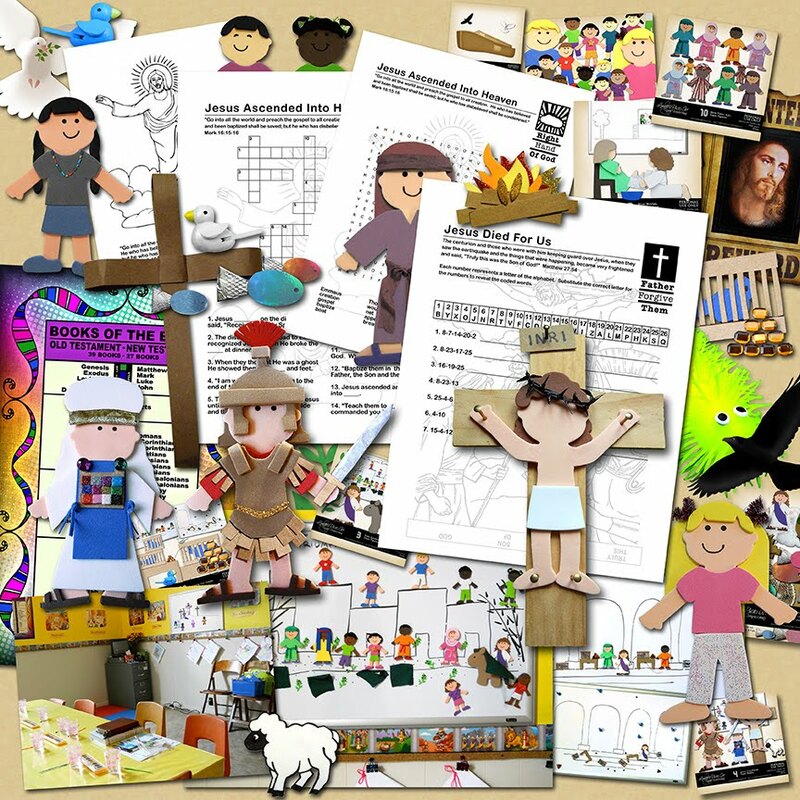 I create either a cross word puzzle, word search or decoding page all using the memory verse, main thoughts from the lesson, a logo about the topic and the coloring picture faint behind it all. Each of these only refers to the lesson - the questions, the words, all from the lesson because the entire point is to present the lesson in many ways so it is interesting, reinforced and might stick with them! I start each class by briefly reviewing each lesson we've already done in the series, (such as the Triumphal Entry to Jerusalem, Cleansing the Temple, Washing the Disciple's Feet, 30 Pieces of Silver Betrayal and Arrest (we did a skit and acted it out), Last Supper, Trial and Crucifixion, Resurrection, Ascension etc.). I do this for continuity since each lesson builds on the one before and in hopes that the more we go over the high points, the better chance it will make sense and stick. I was looking for supplies when I found this adorable bright yellow/green wiggly worm that feels awesome to hold and has a light up ball inside that flashes colors when it moves inside the worm. My husband came up with the name, the "answer worm". At the end of class, I ask questions about the lesson and they raise their hands. I throw it to someone and they get to answer the question and throw it back to me. It's very active, fun, it feels good and it get's them moving and participating while being so soft it couldn't hurt anything or anyone. We love our answer worm! I am teaching them the books of the Bible and couldn't find a poster that I liked for that purpose, so I designed a 16x20" poster myself. I've been surprised, but the kids really love it. See the picture. It is available for purchase in my PayPal Store and I will mail you the physical poster or the same design as 4x6" postcards - my only physical product! I give each child a postcard to help their memorizing. I made the Jesus wanted poster I gave you a while ago to put on the classroom door. We want Jesus and there is a reward! I want to photograph and extract all the Bible characters to share here as I create them. Sadly my camera won't take a good pic, so that means a lot of time in PS to make them perfect. Finally I have gotten all the Holy Week characters done plus the Noah's Ark which was painted and they are available in Bible Stories 1. I'm hoping others will enjoy using them too and this will save them a lot of time and effort! 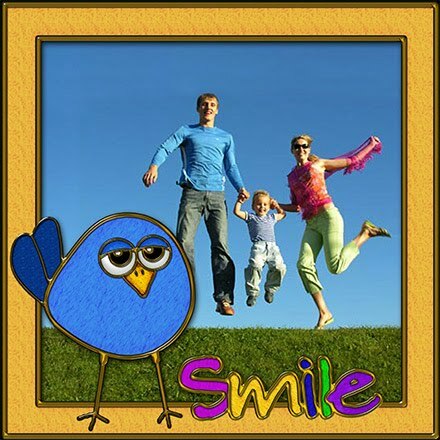 They can be printed, cut out and magnets attached to their backs to use as I do, made into puppets on Popsicle sticks, used in digital scrapbooking and faithbooking. 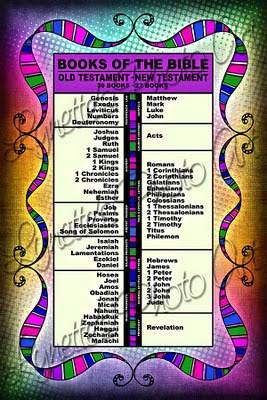 I'm also making my 16x20" Books of the Bible poster & post card available. When making my characters, I start with the bare bodies I buy at Michael's. There are only black, white and brown, but here, digitally I have been able to make them also American Indian and oriental. Then I design their hair and outfits and embellish them with ribbon, beads, trim, rhinestones, cardboard from a Cheerio's box, foam, tassels, glitter glue, whatever I can think of to make them more interesting to the children. I use low melt glue and permanent thin tipped Sharpie markers. The crown of thorns was a black twister tie that I made glue "thorns" around and then colored them black with a Sharpie when they were cool. The cross was a paint stirrer I cut up with a razor knife. The centurion has cardboard details, a tassel for a belt and foil around a cardboard sword. The angel is glitter foam with shimmering gold tassels for hair and to tie his robe. For Jesus washing the disciple's feet I cut a thin strip of white cloth to tie around Him and be in His hands to wash the feet, as the scriptures describe. When Joseph of Arimathea laid Jesus in the tomb wrapped in linen cloths, we wrapped Him in a white napkin and the magnet on Him still worked fine. To make the stone able to cover Him and later the angel, I stacked three magnets on each other so it stood out away from the board to accommodate the thickness and still be able to "roll" it away. For the "garments" people would throw on the road before Jesus on Palm Sunday, I cut squares of fabric and put magnets on all but one, so that one could be laid over the donkey's back for Jesus to sit on. After all, a garment on the ground is just a blob, not shaped like clothes. I made the cages for the foam birds out of the cardboard from a Cheerio box for the Cleansing the Temple lesson. I made the doves blue to show against the white board. Now I just make them white and outline them in black marker. For the Cleansing of The Temple lesson I made piles of money with rectangular gold sequins. I made the whip for Cleansing The Temple of wire. The blond girl of today with the long pony tails has shimmering pipe cleaner bows in her hair and glitter glue on her pants. For the fishing net I tore a piece of net off my nylon bath ball, rolled a seam allowance on the edges and threaded a piece of wire through the edges to give it shape, then bent the ends of the wire to go over the edge of the boat to hold it there. Each fish is an oval sequin. The tails are triangles cut from the heavy handle of a paper bag covered in foil. The wood in the campfire is cardboard from a Cheerios box. The cloud is, of course, cotton balls. The Indian girl of today has glass beads for her necklace. The Latin girl of today has glitter glue on her shirt. The Caucasian boy of today in the red shirt has a paper punched dove on his shirt. Many of the Bible Times figures have ribbon accents. The folded 3D cross is made of construction paper strips. I hope you might have gotten some ideas from this about creative ways to make lessons more interesting using whatever you have at hand and thank you for reading! I love my readers and am honored you spend your time with me. Click image to enlarge. Kits of these characters and the Books of the Bible Poster and Postcards (physical products) are available in my PayPal Store. The Jesus Wanted Poster 10x7" is today's gift. Fabiana - I have e-mailed you several times with no response. Please check your junk mail folder and if you still need help, let me know.